I was using an old Macbook Air (2010) as my ASP.NET web development machine since it was released in October 2010. Since the release of Visual Studio 2012 though it was feeling it's age and things were starting to slow down. Using Visual Studio along with ReSharper was a pretty bad experience on the machine. Opening projects and pages took around 10-30 secs. I had a look around at actual Windows laptops to see what was on the market but nothing was really taking my fancy. The Macbook Air with it's SSD had spoilt me and the majority of PC laptops only had 256gb drive paired with 4gb RAM which was too low for my requirements. Dragnet Systems has launched its newest online store for Hennessy Cycles in Fermoy, Cork - http://www.hennessycycles.com. This new store is designed to help Hennessy Cycles race ahead of their competition and offer their customers something a bit different from the usual online bike stores. Dragnet Systems has launched a new website for Estuary Wholesale Suppliers who are an electrical equipment supplier based in Limerick, Ireland. The site itself is a very simple design with the focus very much on getting the information across in an easy, uncluttered way. The site was built by our designer Raul and the tech was handled by Sinead. I think they both did a fantastic job getting this site out the door considering that they have other projects on the go as well. My next project should be launching around April 20th if everything goes to plan. It's a brand new concept for booking a taxi for businesses and I can't wait until the site goes live when I can talk more about it. It's been a long time coming but today is the day that Dragnet Systems finally launches its newest micro site for Hertz Europe: Hertz4Ryanair.com. 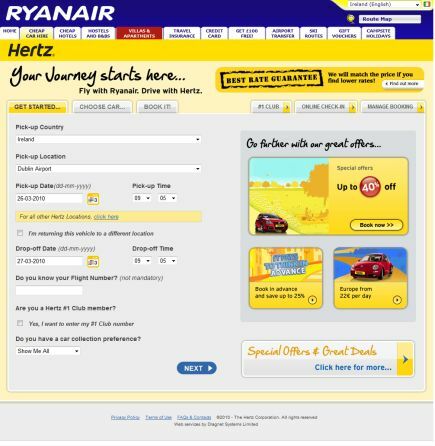 As you can tell from the screenshot above this new site was designed very much with Ryanair and Hertz in mind. The style and approach to the design also follows on from our Hertz Aerlingus project we released 6 months ago - HertzFlyDrive.com. There is a nice clean interface for selecting your cars and accessories that we think really add to the overall user experience. It is also a much faster booking process for booking your car compared to the micro site that this replaces. It's a new year and thankfully the work inside in Dragnet Systems shows no signs of slowing down. 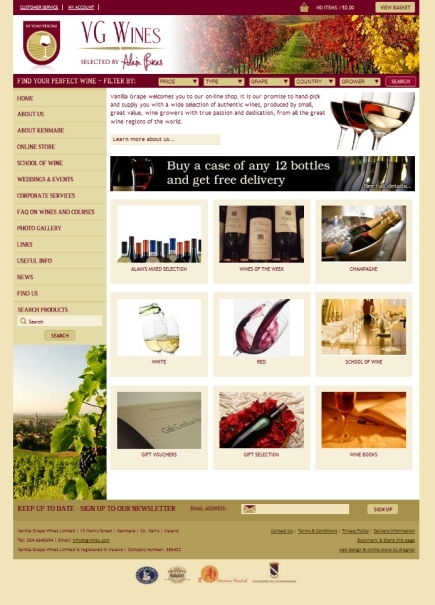 VGWines.com is a brand new online store for an existing wine retailer based in Kerry, Vanilla Grape Wines Ltd. 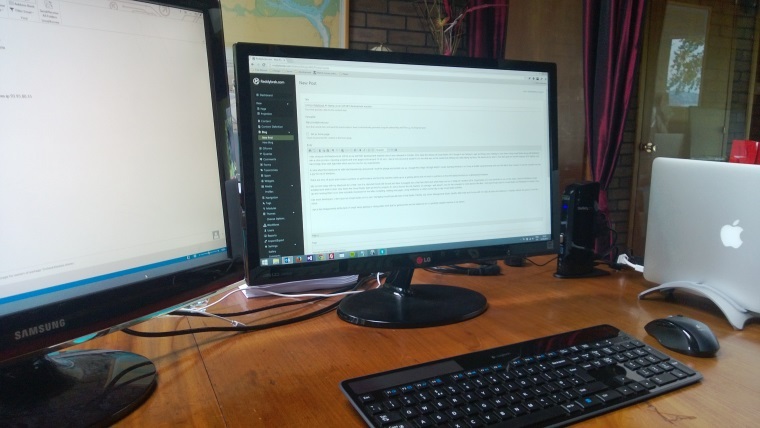 Yesterday I wrote a post about how to achive a redirect for domain.com to www.domain.com using IIS 6. Today I will show you how easy it is to set this up for IIS 7 on Win Server 2008. You should be aware that this install requires a reboot. Only install on your server if you are in a position to restart your server. First thing you need to do is download the rewrite module for IIS 7 from Microsoft. The 32bit version is here and the 64bit version here. Now double click on the file you just downloaded and install the product. It can take a few mins and look like it's after hanging but give it a moment and it will install for you. You will be prompted to restart your server. Do this now as without a restart IIS will give you a 503 HTTP error when attempting to display a webpage. Once the server has restarted open IIS Manager and make sure that both your domain and relevant application pool have been restarted. Open up your browser and test your site just to double check everything is ok after the install. You should find that everything is working as normal. Save and FTP the web.config file to your server. If you type in yourdomain.com (without www.) you should notice that it redirects you to www.yourdomain.com now. For more information about rerouting your traffic you can visit the IIS site for more details. A great place to start is on the Rule with Rewrite Map page. If you have a SSL on your site chances are that you only want your visitors to go through your site on one particular domain. Let's say you own domain.com and you always want your visitors to go to www.domain.com when using your site. IIS 7 has a really cool rewrite module that you can use but IIS 6 users need to jump through some hoops to get this function working. It might be the first day of December but that hasn't stop us from launching 2 new websites to get our December releases off to a great start! 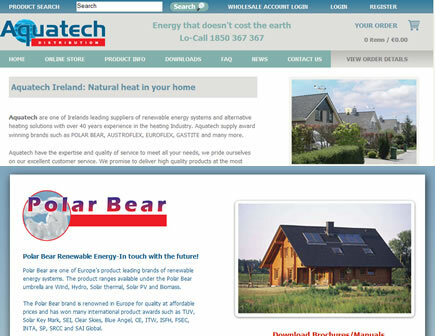 Aquatech Ireland have launched 2 new online stores and a brochure site to open up their products to customers all around the world. 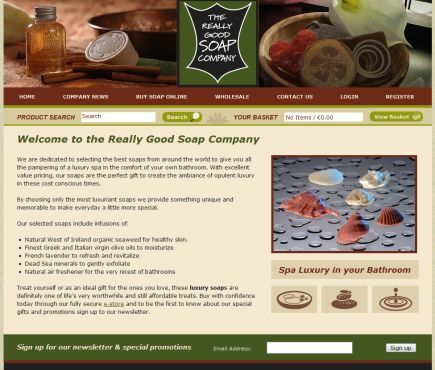 Dragnet Systems has just launched one of our newest online stores - thereallygoodsoapcompany.ie. This online store features a brand new fully featured Wholesaler section as well as all the existing functionality of our store software. This new section will let the website owners manage wholesalers, add specific wholesaler products and even control the pricing per wholesaler for shared products.